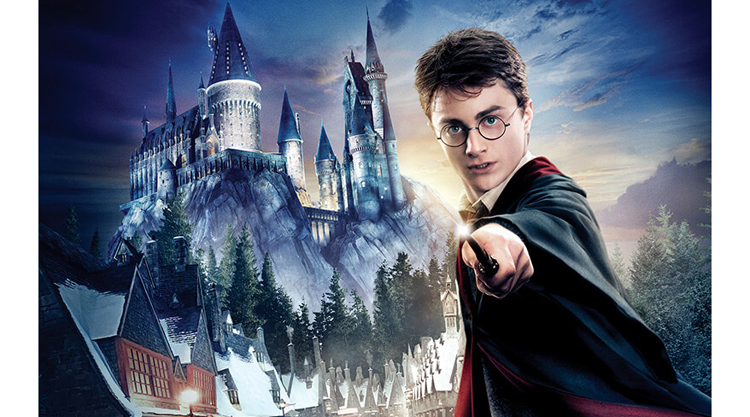 eNewsroom: What made you choose Harry Potter to be part of the present curriculum in NUJS? 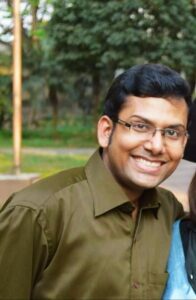 Shouvik: Had this course been offered a couple of decades back, I might have tried something like Star Trek or Star Wars or some other contemporary cultural phenomenon. Even now, I could have chosen something else like say, Game of Thrones! The reason I chose Potterverse is its proximity to modern-day society and the way Rowling has sought to highlight the various limitations of law and legal institutions throughout the books, albeit indirectly. We come across various problems such as the possible consequences of a government that is not democratically elected, a judiciary that is not independent, the rights of citizens being compromised without due process of law, certain sections of the society being overtly or subtly discriminated against, the media being used by the government to spread propaganda and so on. eNewsroom: Does it have to do with the fact that you are a Potterhead yourself? Shouvik: Well, to a certain extent. I can say that I grew up with Harry Potter. The first novel was handed over to me when I was in standard nine. Since then the bond with the book and its character has only grown stronger. I can identify certain issues of the present era which is highlighted in the novel. Hence, I chose this curriculum to be based on the Potter Series. eNewsroom: Were you at any point influenced by the fact that Harry Potter is part of the academic curriculum in several international universities? Shouvik: It’s always reassuring to find like-minded people and existing scholarship about an idea that you have. I have sought to get in touch with the academics who have done research on similar lines and even now, am receiving a whole lot of constructive feedback and suggestions from senior academics all over the world about how to make the course better. 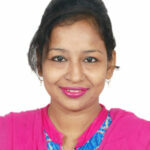 The course is aimed to be a sub-set of Law and Literature, which is an established field of study in law. eNewsroom: How are law and Harry Potter even related? Shouvik: For the relationship between law and Potterverse, I cannot do justice by explaining in detail outside the classroom. I can definitely mention some of the topics that we would be covering in the course, but not limited to legal traditions and institutions in Potterverse (including role of law and rule of law in a magical society, moral choice and liberty and the role of bureaucracy in the Ministry of Magic), crimes and punishments, morality, social values, identity and class rights in Potterverse is often a depiction of the limitations rather than the utility of law, but at the same time, its creator often urges the readers, the potential future of humankind, to proceed ‘beyond the popular notions of law’ in pursuit of justice. eNewsroom: What do you intend to achieve through this specialised course? Shouvik: This course is very much an experiment. I hope the students may in the process gain some interesting insights into the way legal principles and justice work and ought to work, by means of allegorical references to real-world scenarios among others. Above all, I hope they can get into the spirit of creative thinking and questioning instead of staying limited by convention in their ideas of solutions to a given set of problems. That is what law and legal education are meant to achieve among other things, after all. eNewsroom: What has the response been to this course? Shouvik: It has been great. At present, I have around 40 students enrolled in this curriculum. Shouvik: I am toying with an idea to publish a volume should a significant amount of quality original literature emerges out of this course from the students (similar attempts have been made in the West already), but that’s merely a distant thought at present. Mostly I am hoping for the usual, viz. ending up learning more from my students that they get to learn from me in the process. 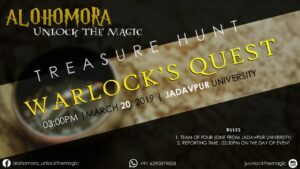 eNewsroom: What’s your take on Jadavpur University’s Harry Potter event – Alohomora? Shouvik: Alohomora is a great initiative. It actually reflects the creativity of our youths. I glad about the way they have the Harry Potter theme with the contemporary time we are living it. An event of this magnitude and serious intention punched with a high dose of creativity could only be conceptualised by the students of Jadavpur University.